Ceemunye Project UK is an entertainment troupe based in North London and comprised of over a dozen performers. The members of the group are of predominantly southern African origin, belonging to various tribes including Zulu, Xhosa, Sotho and Ndebele. The group performs song and dance routines originally from South Africa, delivering an authentic South African sound that they like to refer to as ‘a taste of home away from home.’ However, they pride themselves in being adaptable for their audiences to ensure they are fully entertained. Ceemunye is an adaptation of the Zulu word ‘simunye’ which means ‘we are one.’ The group chose this name as it captures their belief that when we stand together, working in cohesion, we can achieve remarkable things. The group exemplifies this philosophy fully because their skills are not limited to dancing and singing – within the troupe are poets, caterers, decorators, drummers and entrepreneurs; together as one they energetically and beautifully portray a part of South African culture. 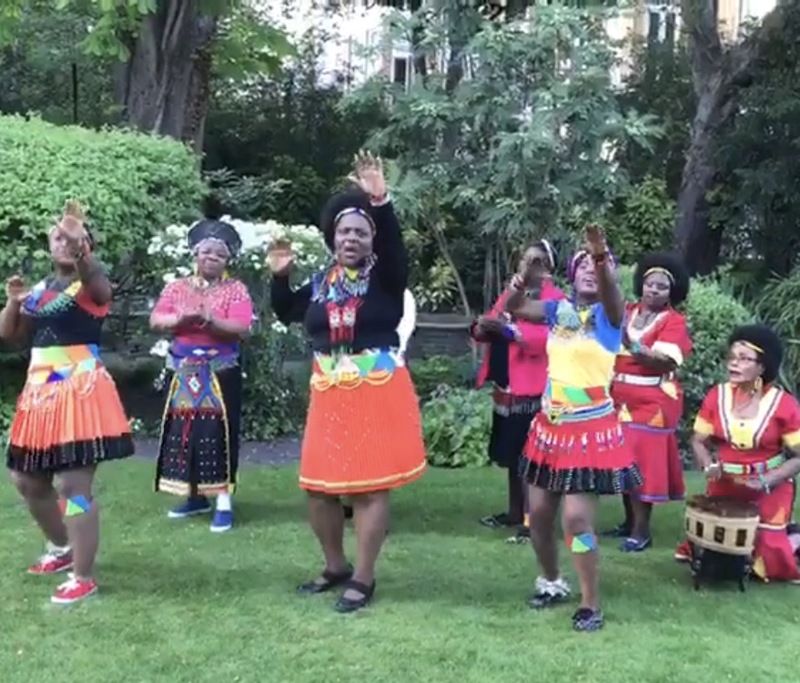 The group has performed in various local and national functions and events including the SS Mendi Commemoration in Portsmouth held in February 2017 (a commemoration of 100 years since the SS Mendi, a South African naval ship sank off the coast of the Isle of Wight in 1917, killing 616 of 823 South African soldiers).